It’s that time of the year again! No, I don’t mean Christmas, I mean it’s the Australian Open golf champs! The athletes on the green have probably had their fair share of visits to the chiro, and my bet would be that at the top of their injury list is the good ol’ golfer’s elbow. “What is it?” you ask? Well in short, it’s inflammation or irritation of the tendon in your elbow. When it’s overused (like constantly swinging a golf club) or gets injured, small tears appear in the tendon, and can cause swelling and pain. 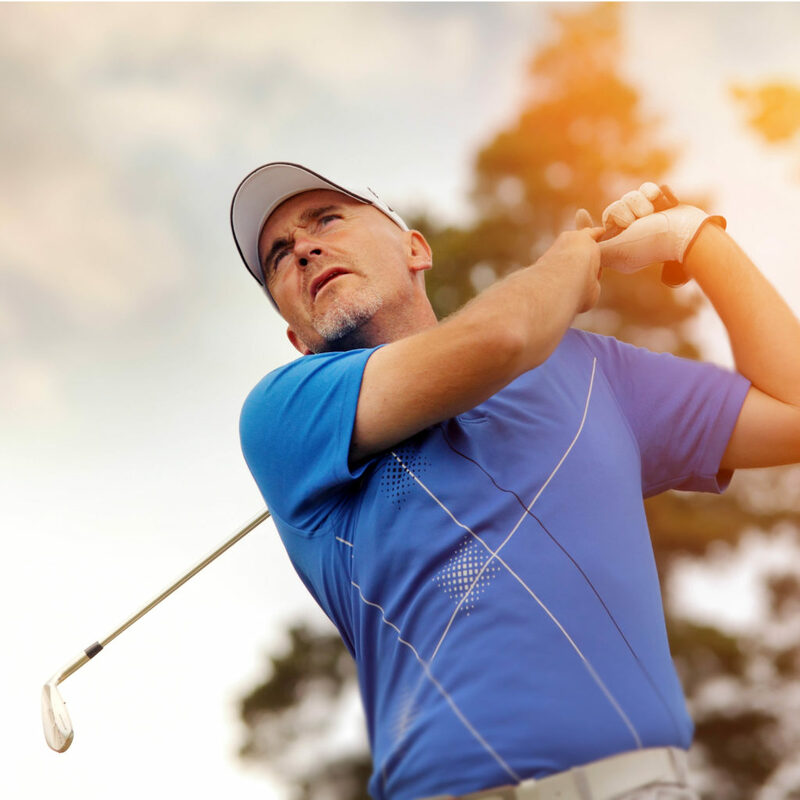 It isn’t just golfers that get golfer’s elbow though – tennis players, weight lifters, baseballers, rowers, butchers, plumbers, construction workers, regular computer users, cooks and painters are also at risk (just to name a few). And as you can imagine, when you have one injury, your body starts to compensate, so we need to look further to understand whether you have weakness elsewhere. Whether it’s cause or affect, you might have an injury or imbalance in your shoulders, back, or maybe it’s your swing? That’s why it’s important not to leave your injury – see your Chiropractor the earliest you can! These are examples of treatment, and not every case will require all types. Make sure you talk to a professional to understand your injury and the best treatment plan for you. The best thing you can do to prevent golfer’s elbow is have proper form and posture. If you’re not sure what that is, ask an expert. Also make sure you stretch before and after activity, or at regular times throughout the day if you’re at work. If you start to get pain, stop, and see your health practitioner. Golfer’s elbow is common across many types of sports and jobs. If you ever have any questions or want an assessment, please come and see us – see you on the Fairway (err… I mean in the clinic)!